Our four brands are uniting to recognize individuals who are making an impact in the creative economy and freelance industry. This initiative is at the heart of everything that we do and everything that we stand for. 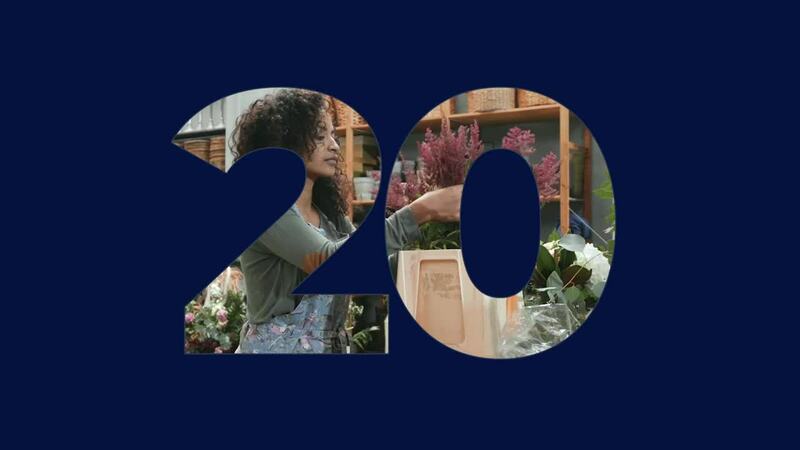 WHAT IS 20 ON THE RISE? This isn’t a popularity contest nor is it a ‘most liked’ list. 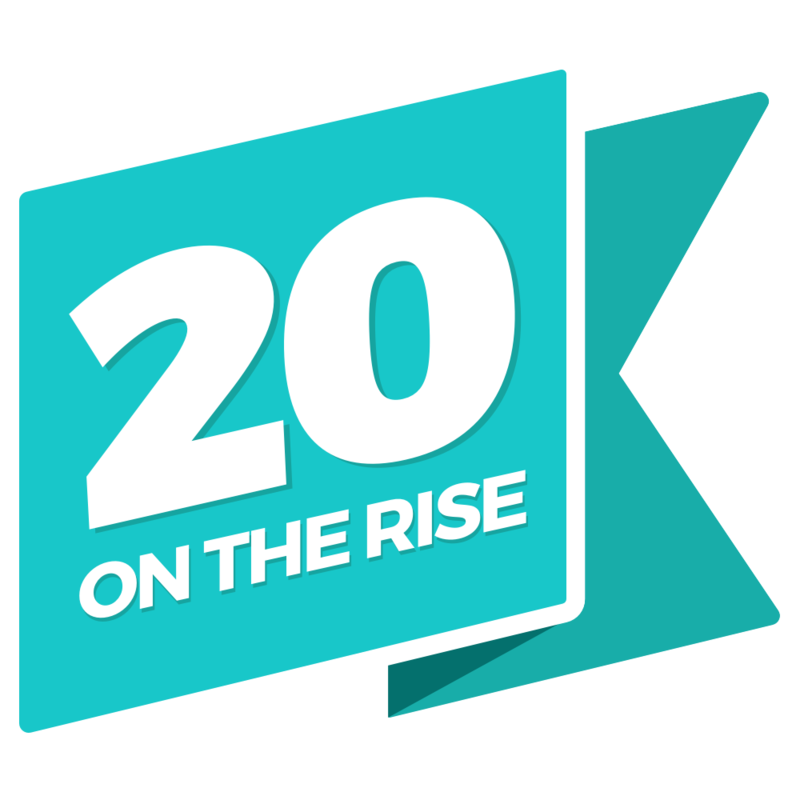 20 On The Rise is a curated list of 20 rising stars in 5 categories nominated by you and selected based on: empowerment, impact, purpose, and passion. I teach socially conscious entrepreneurs how to sell their products and services by combining strategic marketing and mindset work. My main goal in life is to help entrepreneurs find the voice, confidence, and courage to pursue the things they want in life. Marketing is just my tool to carry out this mission! My full-time job is being a stay at home mom to the two most adorable tiny humans on the planet. While they're napping, I drink my coffee and I paint. Former Broadway actress turned jewelry designer celebrating life and connecting loved ones through the art of jewelry. A Louisiana entrepreneur and maker capturing nature in metal and stone. Cancer survivor, Mentor, Acting and Jewelry Business Coach and Owner/Artist at Jewel of Havana Handcrafted Jewelry. I'm a lifestyle blogger, digital marketer, brand strategist and tech nerd who is absolutely obsessed with the internet's ability to make the world a smaller and more connected place. Social Worker / Author - Minaa B.
Minaa B. is a licensed psychotherapist based in NYC. She is also a mental health and self-care advocate, writer and author of the book, Rivers Are Coming. Her work is inspired by her own journey through mental health and when Minaa isn't reading, writing or working, she's out taking ridiculous selfies, visiting coffee shops and asking people tough questions like, how are you doing today? I am an entrepreneur, writer, and college professor. I am also the founder of Boogie Brands, the company behind boogie.co, shade.co, nappy.co, and snappybooth.co. I also use my diverse experiences to work with companies as a speaker and consultant conducting keynotes, workshops, and training sessions that focus on helping leaders become better leaders. Phylicia Bernard is a Personal Stylist and Style Blogger. She empowers women in creating an unforgettable style and unstoppable confidence! I am an illustrator, teacher, writer and publisher of coloring books in magical Austin-land Texas. I have an MA in Art Education, and in a former life I was a public school art teacher. I express whimsy through art and design, and teach art-making as a tool for meditation and healing. Lover of bursting charcuterie boards, colorful textured floral arrangements, and giant balloons, I have been planning and designing events since 2009. I am the Founder and Lead Planner of Together Events, a wedding and event planning company with a social impact. 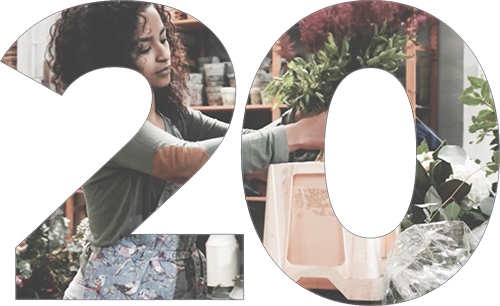 Together Events specializes in beautifully curated, people-centered gatherings that celebrate partnership, not patriarchy, and donates 10% of all sales to community organizations. LaShonda Delivuk is a photographer & strategic marketing expert for people who serve. Her passion for connecting entrepreneurship with acts of service has lead to the creation of five successful brands since she was 18 including Eye for Ebony. Eye for Ebony is a lifestyle stock photo company that helps make it easier to melanin in your marketing. Hello! I am a photographer and business owner. I run three small companies and I help others in the business achieve their goals through mentorships, free groups, and overall encouragement. I feel we are all stronger together and I want everyone to succeed and live a life they really love. I am a mother to 5 children, a wife and we have a rescue pup and we live in Tacoma, Washington. I am a business coach, writer and speaker focused on helping entrepreneurs to get their work out into the world with integrity and ease. I'm a San Francisco native, currently living in Austin with my husband and our rescue pup, Kennedy. Travel is a big part of my life (I'm taking my team to Barcelona in October to live/work for the month!) and we work hard as a family to prioritize it. I went to art school for undergrad and can't believe I built a real business out of it! I'm a filmmaker, entrepreneur and youtuber who has been creating online video for the past 6 years. I started a sports network in 2012 called The Lacrosse Network - dedicated to building community through social media. Sold the company in 2014 and worked in sports media for the next couple years. I have since become an independent creator with my partner, Colin under the moniker - Colin and Samir. Hey, my name is Kim and my whole heart is empowering women whether that be through photography or just through an Instagram caption. Making those connections has completely changed my life for the better and I hope to make a difference in women's lives everywhere. I am a small business owner of Kim Lyn Photography while raising a blended family of my son, my husband's three sons, and my niece and two of my nephews. Photographer / Author - GRACE CHON INC.
Grace Chon is a commercial and editorial animal photographer, recognized for her highly expressive portraits of animals, and authentic images of people with their pets. She's also the author of 2 dog photography books. Grace's clients include ad agencies, pet brands, magazines, publishing companies, celebrities, and TV shows. In her spare time she loves veggie gardening and taking walks with her dogs. After quitting his job as a tech account executive, Mark Clennon is now an NYC based photographer who specializes in commercial, lifestyle and editorial photography. I'm a mom, wife, friend, supporter, and business owner. My mission is to bring beauty to women while living the values of Silver Immersion (Equality, Diversity, Individuality, Courage, and Confidence). I strive to grow and be more of the change I hope to blossom in others with love and empowerment! Hi, my name is Alex. I am happily married to wonderful man, have two cats, and we all live in a 23 ft travel trailer. We are currently exploring the US and running my design business remotely while getting to experience new places and meet new people! Owner / Calligrapher - The Happy Ever Crafter Inc. I'm Becca- I'm a calligraphy "do-er" and teacher from Ottawa, Canada. I play lots of hockey and wear lots of plaid (making me the classic Canadian stereotype), I am obsessed with ice cream for breakfast and love a mean Dad joke. I have been doing calligraphy for about 3 years, and it has absolutely rocked my world in ways I never thought were possible- allowing me to quit my day job and travel the world! I'm a dual-certified HR professional with other 12 years of leadership and Human Resources experience. I've hired and trained leaders for companies on the Fortune 25 list to small businesses alike. I'm passionate about helping people develop the skills they need to become confident, effective and successful leaders! Renee Dalo has been called "the no-nonsense Mary Poppins of Wedding Planning", and it's a moniker she loves. A SoCal based Wedding Planner & Designer with her company Moxie Bright Events, Renee is also the host of the popular podcast, Rock Your Wedding Biz, and a coach for new and aspiring Wedding Planners looking to cast aside fear and step out into their business with confidence and, well...moxie. Myrna is Co-Founder and CEO of Mezzohead Media and the mastermind behind Newlybride.com - the first rich content marketing tool and search engine network for brides and wedding professionals. With over 14 years of professional experience, she is an SEO powerhouse and a digital analyst who has built her career in the luxury bridal industry. Her natural ability to clarify the blurred lines between technology application and spontaneous creativity is what makes her one of the most insightful digital marketing strategists today. Latoya Dixon Smith is a wedding and lifestyle commercial photographer based in Greenville, SC. She has been widely featured in publications including The Huffington Post, Borrowed & Blue, and 99u. Along with photographing crazy-in-love couples who are mindful in their journeys together, Latoya finds her passion in educating and leading The Queen Photographers --a national community of black women photographers aiming to equip each other in business and foster a supportive Sisterhood. Outside of the photography world, she enjoys road trips with her husband Lee and their son, Kent. I'm a freelance product designer based in San Francisco. Lover of music, food, travel & culture. I've been lucky to spend my whole life experiencing different parts of California – born in San Diego, I studied at UCLA and lived in Santa Monica before moving to the bay to join the founding team of a startup. Melissa Dowler is an award-winning documentary film director and co-founder of Long Haul Films, a production company that makes films for and about artists and innovators; and co-founder of She Sees, a volunteer organization with a mission to inspire and empower the next generation of diverse female filmmakers. Stefani is a strategy consultant + speaker with over a decade of experience working in the US government, international NGO space and with nonprofits. Currently on the UNDP's Roster of Communication Experts in Subsaharan Africa + certified in Google Analytics, Stefani is an analytical thinker and thoughtful storyteller who works with nonprofits + humanitarians to define who they are, elevate their influence and broaden their impact through strategic communications, branding + advocacy. Stefani lives in Charleston, South Carolina with her husband, twin girls and rescue dogs. I was born in Russia and grew up mostly in Brooklyn, N.Y., and graduated from Columbia University with a degree in psychology. I run a DJ business in Los Angeles and am pursuing my Master’s in Clinical Psychology. Music, language, and connection have always been passions of mine; I speak English, Russian, Spanish, and French. I am an Artist and Soul Mentor living in the countryside near to the lovely city of Salzburg. Last year I fully dedicated to living my dream as a full-time artist, what became the most beautiful journey I could ever dream of. Each day I am one step closer to my vision, one step closer owing my power and bringing it into the world. My name is Melissa Fox-Austin and I'm a graphic designer, stationer, owner of Cherished Prints, an online boutique shop specializing in made to order and bespoke funeral and memorial stationery—wife, and mom. I hope to transform consumer expectations of funeral and memorial stationery by providing modern designs that are both a celebration and gift to the grieving through premium customer service and guidance. Early childhood educator by day, makeup artist on nights and weekends, plant and self-care obsessed 100% of the time. I love connecting with people to help them feel good and be the best version of themselves no matter their age. As Founder & Creative Director of SPARKLE bridal couture, I am passionate about empowering curvy women to accept their natural beauty and to feel beautiful, confident and fabulous on their wedding day and beyond. Prior to founding SPARKLE, I managed sales and marketing at my mother's bridal salon, which she owned for nearly 20 years. That experience combined with my previous position in the wine industry helped me understand the role of service and hospitality when working with clients and our community. BRAND STRATEGIST / SALES COACH - MARVA J. COACHING CO.
Marva is a brand strategist and sales coach to coaches and creatives that need help explaining the impact of their service, so they can easily book more of the right clients. Marva is an Air Force veteran and military spouse that loves helping small business owners find their voice. My wife and I founded GouletPens.com out of a desire to work together and raise our kids in an entrepreneurial environment. I love fountain pens, community building, Lego Technic, wood working, music involvement at my church, cycling, and helping others in my company to become the best versions of themselves. Kelsie Grazier is a contemporary visual artist based in Ladner, British Columbia. Her intuitive oil paintings explore the concept of movement after suddenly became deaf at the age of twenty four. She studied painting at Emily Carr University of Art and Design, graduating with a Bachelor of Fine Arts and also has her Masters in Deaf Education. At my core, I’m a creator and connector who believes in implementing strategy, structure, and style in everything I do. I work with businesses and individuals to navigate purpose-fueled paths in a practical, prosperous way. CEO - Magic Uplighting, Inc.
Eddie Guillen is the founder and C.E.O of Magic Uplighting, Inc., a company that specializes in lighting concepts and provides Photo-booths, Drapery, Dance floors and Event furniture. Loves to travel with his wife Jessica and two maltese puppies, Benji and Bella. I started Oh Happy Day Booth in 2015 and have grown the business to specialize in weddings and corporate events. I am originally from Allen, Texas, a suburb of Dallas, and have a public relations degree from Texas State University in San Marcos. My favorite events are swanky downtown weddings and fun greek events. I live in Austin with my husband Peter and rescue pup Bailey. I am the founder of 8th & Home Real Estate and Relocation, a nation-wide referral network matching families on the move with real estate professionals who chase communities and not commissions. Our clients are on a search for communities where they can thrive and flourish, and we love being along for that ride! I also founded I Am A Triangle, a community with thousands of globally located members with one thing in common – they’ve lived around the world, away from their passport countries. I'm a wedding and portrait photographer from Tucson, Arizona heavily involved with my photography community. I've been doing photography for 14 years and full-time for the past 5 years as I've grown my business and photographed over 160 weddings. Recently I've partnered up with a close friend to open a Co-op photography studio to help give photographers an accessible studio experience and to host educational events for our photography community. Racquel Henry is a Trinidadian writer and editor with an MFA from Fairleigh Dickinson University. She is a part-time English Professor, owns the writing studio, Writer’s Atelier in Winter Park, FL, and is a co-founder of Black Fox Literary Magazine. Josefina Herrera-Sanders is a creative freelancer living and working from tampa, florida.She's a devoted Christ follower, wife, artist, writer, speaker, advocate, and social influencer.Her life's work is to inspire people to live intentionally, love others, and serve well through powerful words and visuals. Alison Jefferies is a custom jeweler and couture bridal accessories designer based in Baltimore, MD, USA. Originally a self-taught jewelry designer, she has expanded her repertoire of skills to include fine jewelry and custom constructions through continued education in metalsmithing and stone setting. She strives to empower women from every walk of life to celebrate the important moments in their lives with tangible, timeless, and meticulously handcrafted adornments. Ashley is a friend of grief and an ambassador for love. After losing her daughter to a terminal condition, she recognized just how much love and support can lighten the darkest of circumstances. She launched Love Not Lost as a way to come alongside of people facing a terminal diagnosis to celebrate life, preserve memories, and support people in grief. Jean Sbarra Jones is an artist living and working in a 100-year-old industrial loft located in downtown historical Salem, Massachusetts. She earned a Masters of Fine Arts at Boston University College of the Arts. Jean recently created a company called “First Dance” where she makes paintings that help recreate memories of special events, particularly unique moments in wedding ceremonies and /or receptions. I’m an adventurer, a collector of laughter and sunny days. I’m in love with chasing sunsets and making people beautiful in their own skin, finding new places to explore and friends to make. I believe that every single body is beautiful and I’m on a mission to make every person I meet fall in love with themselves. Annalise Kaylor is an Atlanta-based NGO photographer and photojournalist who specializes in strong, narrative-driven visual storytelling. She became a professional photographer after nearly two decades as an SEO, social media, and digital content strategist for some of the world's best brands. She has never once regretted making the career change. I'm a Korean-American, San Francisco-based designer and co-founder of Shoppe Theory, a creative studio specializing in beautifully strategic solutions for retail clients. I believe in labors of love and doing good work with good people. I believe in the creative potential in each person, and my mission is to spark the creativity in all of us. When my grandmother (who was a watercolorist) passed away in May 2016, I wanted to honor her memory by trying out watercolors myself. I began taking time to explore what creativity really means for me. And I haven't stopped creating since. I'm a designer and dream maker, creating patterns and projects for healing and personal growth. I live in my hometown of Green Bay, Wisconsin with my husband and teenage son. When I'm not meditating or practicing yoga, I love to travel, garden and I've just taken up curling. I am a bright and color-obsessed artist with a passion for challenging the stigma surrounding mental illness through my abstract paintings. I create manic art for the wild at heart using my bipolar disorder as a SUPERPOWER. I help other artists feel fulfilled creatively and to own their unique identity as an artist. I've been coding since I was 12 years old and now get to bring brands to life on custom websites. I love collaborating with other creatives for each client to make their project the best it can be. I also love embracing my nerdy side with GIFs, all things Apple, and board games. I am an empathetic technologist and inclusion advocate with an entrepreneurial drive aspiring to make an impact and pursue interesting work that matters. I am the founder of Lady in Tech, an award-winning tech and lifestyle new media company for next-generation female tech leaders and entrepreneurs. I write a column for Forbes that inspires, motivates and moves millennial women to enter the tech industry and build impactful products at scale to improve the world. I'm Toni Lipsey, the Designer and Instructor behind TL Yarn Crafts. I strive to inspire and educate makers by producing high quality video workshops and beginner friendly crochet patterns. I am most known for my presence on Instagram and YouTube, where I've cultivated an audience of nearly 60,000 creatives. I began my business by looking for a creative outlet while having my first full time job as a high school Ceramics teacher. I only have minimal experience with clay, so this challenged me to push myself; I began to learn while also teaching ceramics and I fell in love with the medium and haven't looked back since. We believe art is correlated to experience, and therefore I fuse my love for Mexican culture and artisanal crafts and contemporary design with ceramics. With Love, From PDX is a gifting company and service based in Portland, Oregon. We curate custom gift collections with locally-sourced, handmade goods for busy professionals, corporations, and everyday customers looking for a beautiful, personalized gift. Mia is an artist, teacher, & community-builder based in Berlin, Germany. She is passionate about spreading love of handmade pottery & empowering people to make their own. Sarah Mullins is the owner of A LA CRATE Rentals and A LA MADE goods. Through her passion for people and products with meaning, Sarah is challenging the way people think about the event rental industry. She is a sincere Midwest girl who lives for meeting strangers, making “something from nothing” and rummage sales. My name is Laine Napoli (a.k.a) "The Brand Gal," and I am the proud owner of a boutique design studio called Branding Addicts. Branding Addicts is strategically built for The Creative Boss in business. My mission in life is to inject passion, purpose, and life back into small businesses by branding bosses from the inside out. Cassandra Zetta is a queer wedding photographer specializing in LGBTQ+ weddings and elopements. With the belief that all relationships deserve to be celebrated, her mission is to create an inclusive and safe space where everyone can live and love openly. I am a California based (but passport ready) plant mama & photographer helping FUN & creative couples capture their toast worthy weddings. Stephanie Owens is the founder of Paper Moon Interiors, where she creates glamorously whimsical spaces for the gal-about-town with her online interior design services. After launching her own unique take on brand design, she expanded the Paper Mooniverse, and launched Ms. Paper Moon, where she helps others create beyond basic branding and cosmic content for their online businesses. She also is the cohostess of The Decorettes, a weekly web show that helps fellow creatives create bewitching branding and swanky systems so they can get their business noticed and organized. I create illustrations that are unique and memorable for thoughtful gift givers. Who are not only looking for presents, but also a memory keeper. So that they can leave a loving and lasting impression. I'm all about creating artwork that is encouraging. I'm all about self-love and self-care. I'm about being 100% true to yourself, taking risks, and following your dreams. I'm about working hard to pursue your passions and I'm also all about taking lots of vacations and going to happy hour. I'm the least likely candidate for pretty much everything I have ever done. I was born with life-threatening birth defects (including the absence of my left hip, leg, kidney and other things needing 23 major surgeries before I was 13). Even though this girl thinks mascara is a survival tool and espresso’s a bonafide food group, I spent 7 years living in an active conflict zone in Africa (South Sudan), founding and running a children’s rescue home (with 130 children) and an international development base with no running water or electricity. (And I was the girl scout who refused to camp in a tent.) It was there in Africa, I learned the power design, creativity and story-telling can wield in building community and seeing transformation happen from the inside out. Christina is a fine art photographer based in Northern California. Her style blends documentary, fine art and fashion to create stunning, frame-worthy images. Jessica Rasdall is a Motivational Speaker, Best Selling Author, Public Speaking Strategist and the host of The Creative Speaker Podcast. She partners with small business owners to craft stories and presentations that connect with their audience and stand out in a crowded market. Jessica has shared her story of turning her “mess into a message” for over twelve years and has been featured on major international media outlets such as ABC's 20/20, Katie Couric, The Guardian, MTV, International Netflix and much more. When Jessica was a freshman in college, she made a life-altering decision that resulted in the death of her best friend. In an effort to raise awareness, cope with her guilt and keep her friend’s memory alive, she began sharing her story. Jessica spoke to over 15,000 young adults across the country before she was sentenced to prison. By rewriting their story, her clients are transforming what were once considered limitations into some of their greatest business assets. I'm a mom of a three year old and a 7 month old. I created True North Slings when my youngest was one and I have the pleasure of running it alongside my husband Dmitri. A 16 year veteran of the hospitality, wedding & events industry, Sarah Pete has worked in numerous capacities including working in luxury hotels, opening & designing high-end event venues in Washington DC, non-profit fundraising, running a local makers market, as well as organizing veterans reunions and conferences for the Department of Defense with an attendance of over 5,000 people. She is the owner of Sincerely Pete where she plans weddings for equality and modern-minded couples and the co-founder of Wanderlust Wedding Co, planning weddings & elopements around the globe. Sarah Pete is an active educator and speaker, teaching on topics such as LGBTQ inclusivity and leading various workshops for different creative business owners (such as The Real Talk Photography Workshop with Kir Tuben). After 6 years as a side hustler, and with no formal photography training, Amber took the leap to full time entrepreneurship just 3 years ago so that she could follow her hearts calling become the storyteller and mentor to couples and small business owners across the south east. Amber considers it the highest privilege to be invited by someone to capture and help guide moments to memories that will serve as forever reminders of how we live our lives. I am a Army Veteran who decided to leave the military to create an opportunity where I told the stories of my clients through the wedding and events they have allowed me to be a part of. These stories range from charitable organizations to those with life threatening illness. It's been my pleasure to use event planning as a way to inform my community. I'm a Puerto Swegian (Puerto Rican, Swedish, and Norwegian) native of New Jersey who is obsessed with color, pattern, and design. My dreams of becoming a museum curator fell by the wayside when my creative side-hobbies started getting attention. So I left the worlds of academia and museums to become a window and display artist for Anthropologie, before starting my own full time business designing and making handmade homewares and decorative accessories. I couldn't be more thankful for the unexpected twist life has thrown my way. Hi, I’m Praise. I like Tuesdays, organic gummy bears, and making Google Map lists of my favorite Victorian homes around my city of San Francisco. I am an outdoorsy printmaker and painter living near Philadelphia, daydreaming about mountain lakes and wild pines. I'm self-taught, and I love getting lost in the process, and inspiring others to explore--in art or outside! I am a brand strategist and web designer and I create captivating brands that connect and websites that convert. I am an engineering postgraduate following my passion for design and coaching to help other passionate and committed entrepreneurs launch their profitable and automated online business, help them create their dream life, be financially free and location independent. I am a wedding, lifestyle, and brand photographer based in Baltimore, MD. I love bright colors, unique twists, and when people are unapologetically themselves. BAKER / PRESIDENT - THE PINK BAKERY, INC. I am a Milwaukee native who now calls Memphis home. I consider myself the uncrowned queen of inclusion! As the owner of The Pink Bakery, Inc. which is TN’s 1st Big 8 Allergen Free Bakery, I am driven by the believe that, no one should be excluded from life’s celebratory moments because of a food allergy. Elise Smith is the owner of WinniE's Bakery, an accomplished pastry chef and published recipe developer & food writer. WinniE's Bakery is a bake to order and small batch producer of artisanal baked goods, in Columbia, MD. Along with her entrepreneurial endeavors, Elise is committed to being actively engaged with charitable and advocacy work. She does such by working with organizations like No Kid Hungry and Black Girls Cook. Hey y’all I’m Autilia! The fun bubbly personality behind Heart Hooked. I’m a 26 year old granny at heart and you can find me at anytime of the day snuggled up on a couch with some yarn, coffee, my pups and a good Netflix show. I'm an Oklahoma native living in California by way of Oregon! I spent almost 8 years working in promotions and events in the radio industry, left that to manage marketing and sponsorships for a large non-profit country music festival in Oregon, and then left that after almost 7 years to create Green Cactus in order to assist more events with sponsorships. I am newly married to my husband Steve, who I met on a tour bus while doing a radio promotion 7 years ago, and I now have three step-children: a Marine deployed overseas, a college student in Oklahoma, and a hilarious 14-year-old who gives me a run for my money when it comes to comedy. A true romantic who believes in beautiful ideas, moments, + designs. I am a wedding designer + event florist based in Atlanta, Georgia. Ever since I was a kid, I felt the urge to learn and experience absolutely everything I could (piano, basketball, pottery, improv, filmmaking, fashion design, seriously... you name it) while also wanting to become friends with absolutely everyone I could. It didn't matter as long as I was able to be creative, be active, and share my experiences with everyone around me. Having confidence + conviction in who I was definitely led me down the road less traveled, but I've truly learned to love the journey just as much as (if not more than) the destination. My name is Amanda, and I'm the owner of The Boobie Box, a Certified Lactation Counselor, Learning & Development Consultant, wife, and mother to two sweet girls, three rescue dogs, and two guinea pigs. My passions include assisting new mothers and their babies, reading, cooking and crocheting. My dream is to one day be able to leave my full-time job to focus 100% of my time on The Boobie Box, so I can make an even bigger impact in the lives of new mothers who are breastfeeding. I’m a mother, wife, and an ice cream maker! I combined my design background and love of food to create my own, made from scratch ice cream brand that I serve at pop ups and events. As a brand ambassador, content creator, and girl empowerment babe, I’m here to inspire women with big dreams! Encouraging girls to join me in loving our REAL selves so resiliently that we inspire the world to do the same. I’m spreading this movement of love by partnering with women-empowering brands as a speaker, model & ambassador. I'm a West Coast girl born and raised, which is why my love for the Pacific Northwest started from such a young age. My core values are community and connection, and it's the thread that binds everything I do. I strive to foster community wherever possible and create moments of connection where it may not necessarily be expected. I want people to get outside their comfort zone have real meaningful conversations again! I am a wedding and elopement photographer based out of Seattle, Washington. To me, photography is an investment and I commit 100% to my couples. I am also that weird dude who would become friends with his clients and stalk them on social media because I love to see where they are in life and in marriage. Tiffany Tolliver founded The EmmaRose Agency, a luxury Los Angeles-based branding firm, in October 2015 with a promise to enhance the way we visually consume products and services. The EmmaRose Agency designs and builds iconic brands using visual balance, clean and classic designs, and breathtaking photography. With grace, grit, and God, in two years Tiffany elevated from living at home as a hair salon receptionist in Washington, D.C. to the owning a thriving six-figure boutique agency in Los Angeles that develops branding for nationally-recognized businesses. She obsesses over changing her clients’ stories, the way she changed her own story, by creating impactful visual experiences that cultivate brands’ popularity and profit. Tiffany’s clients have received recognition on outlets such as Good Morning America, TODAY, Buzzfeed, PopSugar, and more after working with her. When she’s not working, Tiffany may be found exploring the city of Los Angeles, for creative inspiration, with her smart and sassy daughter, Aysiah. I'm the head honcho (& only honcho, #solopreneurlife) at CRAVEbyCRV, an online shop specializing in leather goods & accessories where my main medium of choice = vintage leather jackets (& the occasional motorcycle chap). I’ve been making & selling stuff since I could hold a crayon & mix a pitcher of Kool-Aid, love sprinkles more than the average 3-year-old, cry when I laugh, am an advocate for following your dreams & enjoy writing run-on sentences. I am a heart-led attorney obsessed with helping others thrive in life and in business. I focus on trademarks, which is a legal way of saying I help you make sure you have a strong brand and are protecting your rights to it. I’m a 28 year old who is passionate about what I do. After meeting many individuals who are/were homeless and being compelled to help, I said yes! I started serving hot meals to the homeless weekly and giving away many needed items about 7 years ago. I have also been interested in helping them find their purpose in life, whatever it takes. I then developed a skin problem that doctors couldn’t find a cure for. I decided to create my own cure by making my own skincare with natural ingredients. It worked! These things together created Hope Soap. A plant based skincare company that caters to individuals with sensitive skin and to the homeless community with the bars of soap we give them. With every item we sell, a bar of our handmade soap is given to someone in need! I'm a woodworker and woodcarver living and working in historic Lowell, MA. I've always enjoyed working with my hands and about 5 years ago turned my attention to woodworking. After starting out with a few knives bought online, I soon outgrew my home garage and moved into a studio space. I'm a husband to one, a father of two, a dual-job sole provider for my household and following all my passions with my entire heart. I work during the day at Hurley as a Digital Marketing Director and on nights and weekends I photograph couples and weddings. I learned on film in high school and now shoot a hybrid of film and digital. Since I launched my photography business two years ago, I've been committed to helping people along the way through Instagram live interviews helping other photogs, articles on my site, mentor sessions and giving back 25% of my profits to the charity of my client's choice. Chief storyteller and video marketing strategist, I help positive change-makers reach more people using the power of videos. Led by intuition, and driven by data, I help positive change-makers and heart-centred entrepreneurs reach more people and change more lives, with timeless marketing videos that motivates and inspires people into action. My mission is to transform that message in your heart, into a beautiful medium that you can share with the world. I'm Courtney Zerizef. I started my photography business feeling like I was over my head, floundering. After starting to tread water (and getting my MBA), I now work with creatives all over world teaching them to strategize and find success in their business. FOUNDER / OWNER / DESIGNER - WESTWARD WANDERING CO.
Hi! I'm Katie! I am the founder and designer of Westward Wandering Co. in the Black Hills of South Dakota. I have a background in graphic design and have always had a passion for hustling side projects outside of my real world design job. At the moment, I am a super passionate about learning everything digital marketing, elevating my Westward Wandering brand to the next level, and am a little too obsessed with lists! Iris Zhou is an 18-year-old girl from Seattle who grew up surrounded by creative, hard-working women on the Internet. She founded Comeback Magazine almost three years ago and continues to help creatives reach their goals through good design and insightful stories. We’re committed to celebrating and supporting the individuals who are making waves and raising the tide, rocking the creative economy and freelance industry through hard work and creativity. Check out our special offers below just for you.  Book clients, manage projects and get paid – all from one place. Try the business management software designed just for creative small businesses. Gusto makes payroll easy. See why 60,000+ businesses in all 50 states choose Gusto. Get together somewhere better. Book thousands of unique spaces directly from local hosts.